Free Outlook Viewer is a solution for users who don’t have Microsoft Outlook installed on their PCs. 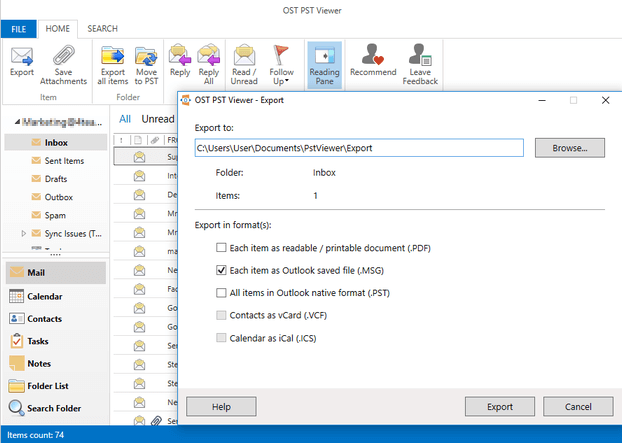 Using our OST PST Viewer, you can view Outlook files, such as Outlook PST file and Outlook OST file. Opening PST and OST files has never been easier – just a few clicks to open and view them. View Outlook data without Microsoft Outlook installed. That’s right, open PST and OST files to view and read Outlook data. 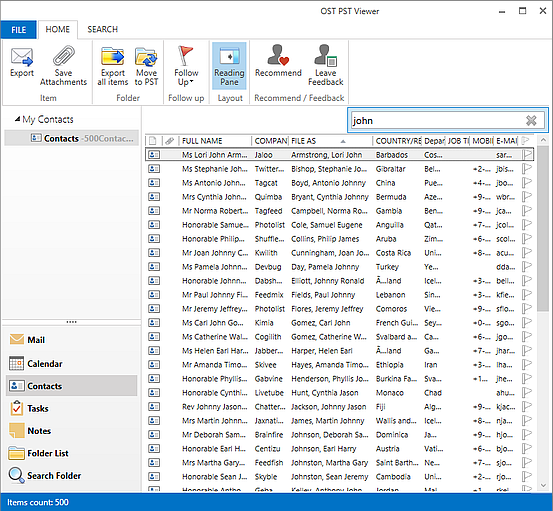 This free Outlook file viewer and reader works fast and is easy to use. Open and search through your PST and OST files to find any information needed. 14 days money back quarantee. OST PST Viewer is a powerful freeware that allows you to open and view Outlook PST file content in a convenient way. View PST files items like you see it in Microsoft Outlook with embedded graphics, rich text, HTML or text formatting support. You can view and copy PST or OST data you need from Emails, Calendars, Contacts, Tasks and Notes folders. The interface is familiar and similar to Microsoft Outlook. 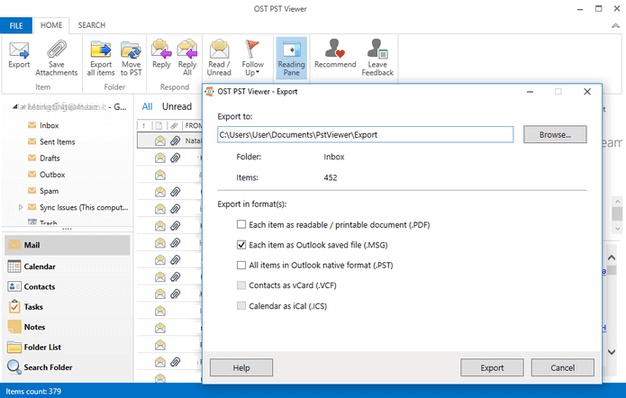 It’s easy to find and export Outlook messages, attachments, appointments, events, contacts, tasks, and notes stored in PST or OST data files. Export all or selected email messages and other items to .msg files, export Contacts to .vcf or Vcard files, and export Calendar events to .ics or iCal files.